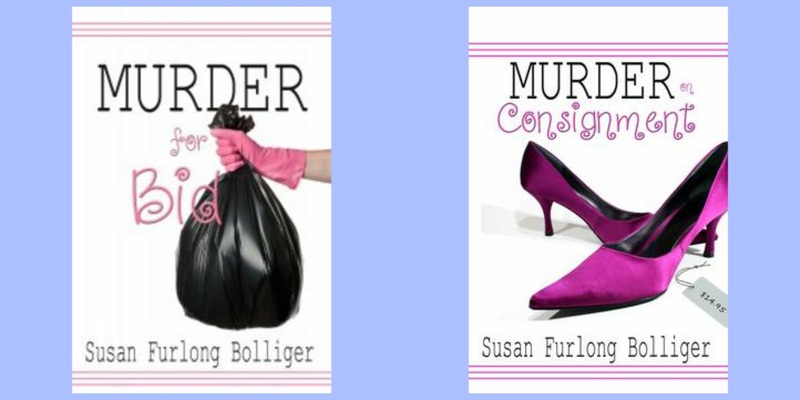 Susan is a mystery writer living in the Midwest. 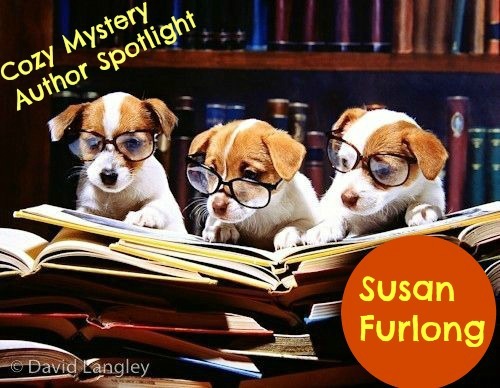 She writes the Georgia Peach Mysteries (Penguin Random House) and also penned books four and five the New York Times bestselling Novel Ideas Mysteries, written as Lucy Arlington. Watch for Susan’s new suspense novels, featuring a female MP/dog handler, coming in 2018 from Kensington Books. 1.Who or what inspired you to start writing? I used to be a teacher, but when our first child--our son--was born, I wanted to be home with him, so I started writing to supplement my income. I worked as a translator and a contracted content/academic writer for many, many years. I started writing fiction in 2010. I began with short stories and eventually worked up to novels. My first novel was published in 2013 by a small press. Some days the words just flow. Other days, each word is an effort. On those days, I simply keep typing. That’s the only way I know to overcome writer’s block. I write full time, 6-8 hours each weekday. And sometimes on weekends, depending on my deadline schedule. I read mysteries, so writing mysteries comes naturally to me. My agent—who’s smart as a whip and very creative—often helps me brainstorm and develop ideas. She’s excellent at coming up with titles, too. I love spending time with family: large meals, games, picnics, watching movies, or simply just hanging out together. I also like martial arts, shooting guns, hiking, fishing, kayaking, gardening, and just about anything outdoors. Discipline is key to being a professional writer. You have to be prepared to write through whatever life throws your way: illness, loss … stressful and difficult times. Sometimes the words are difficult, seemingly impossible even, but you have to keep pounding them out. 8. If you could visit anywhere in the world where would you like to visit? I can’t carry a tune, but I sing anyway. Loudly. I’m not much for ‘small talk’. Susan writes for at least six hours a day. She likes to going hiking, shoot guns and spend time outdoors. Her advice to writers is to use discipline to stay focused. Like me she does not like crowds. What did you learn about her? Stayed tuned for the next author! My favorite setting is somewhere camping near a lake during the fall with a cozy fire. I like sitting on the front porch on a cool day with hot cup of tea and a good cozy mystery. A charming and beautiful beach town which gives me hope. Great interview! 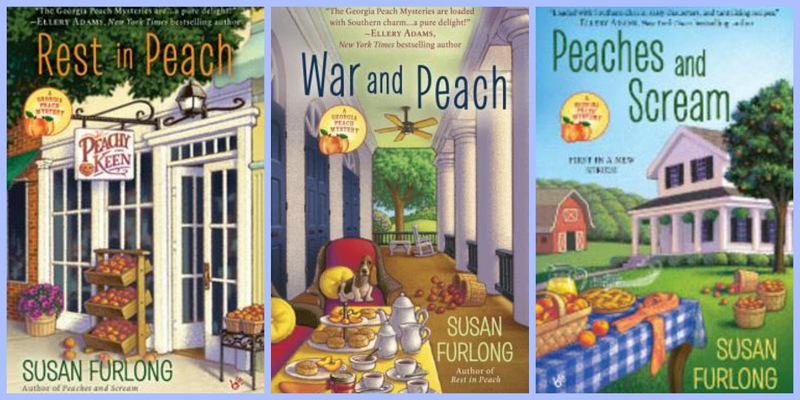 I love the Georgia Peach series and am looking forward to Susan's new suspense series! My favorite cozy setting is a small town. I don't like crowds either. As for setting, it doesn't matter much to me as long as the story is good. I just started reading Peaches and Scream - I love it! Looking forward to reading the rest of the series. I love this! Thanks for sharing! I'm looking forward to reading this series! My favorite mystery setting is in a small fictional town with cool shops, bakeries, coffeehouses etc... and lots of fun and sometimes eccentric characters ~ I wish I could do the splits both ways! I have been anxious to read the "Peaches" series and the "Books" series. My favorite setting for books is a small town or village. I hate crowds myself and I admire you for being so disciplined with your writing. My favorite setting for a cozy would be staged at a cabin in the mountains. My fave setting for cozy mysteries is small towns where everybody knows everybody & there's a lot of gossip! 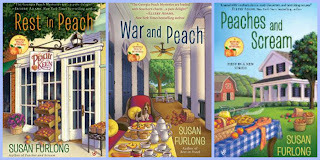 I love the Georgia Peach series, but, have yet to start reading Susan's Novel Idea series. Thanks for hosting the give-a-way Angela! I enjoy the Novel Ideas series. Did not know that Susan wrote as Lucy Arlington. I'll be checking out her books as Susan Furlong. I like homey small towns!! I like your books! My favorite setting for cozy mysteries are in small towns. In small towns people seem to know just about everyone in town and what they're up to, making for interesting situations. great interview. love this author so much! no need to enter since i have read her books and loved them! My favorite setting for cozy mysteries is a small town, where everyone knows everyone and there is a sense of community. I sure do love cozy mysteries! I like small town settings--especially those with wooded areas nearby with lots of woodland animals. I love to read just about anywhere, but especially snugged on the couch with and or a cat or dog. Some of my favorite cozy settings are bookstores, libraries, beaches, and chocolate shops. I don't think I could pick just one favorite, just like I couldn't pick one favorite author. Too many good ones!